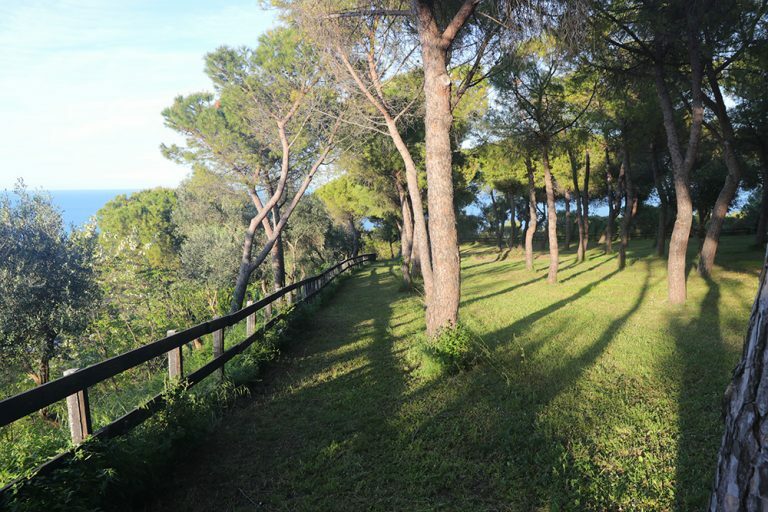 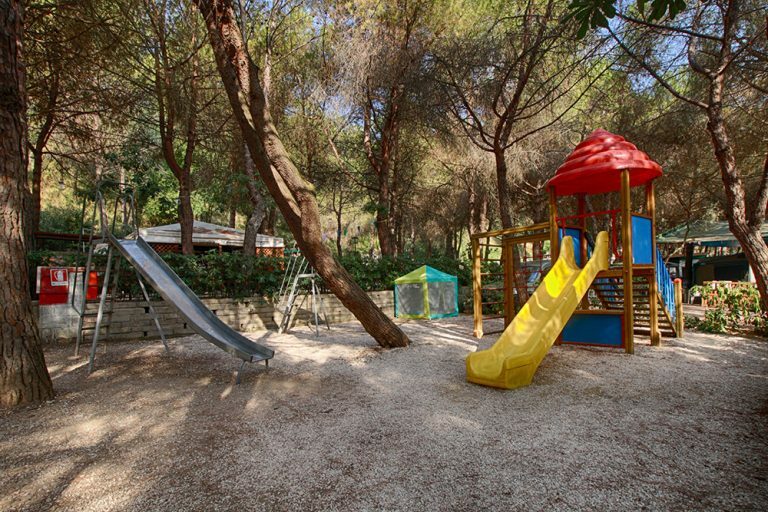 Camping Belvedere sits on the top of a hill shaded by a dense pine forest, at about 80 m on the level of the sea and at less than 1 km from the beach. 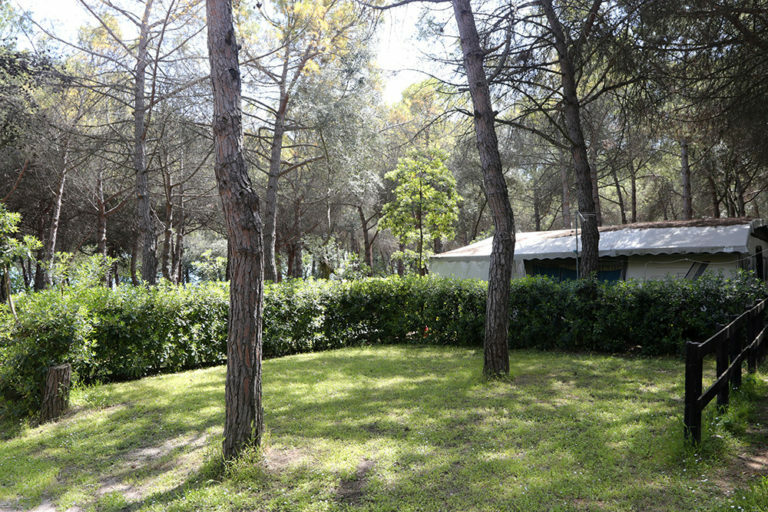 The pine forest was planted in the 1940s and covers an area of 3 hectars. 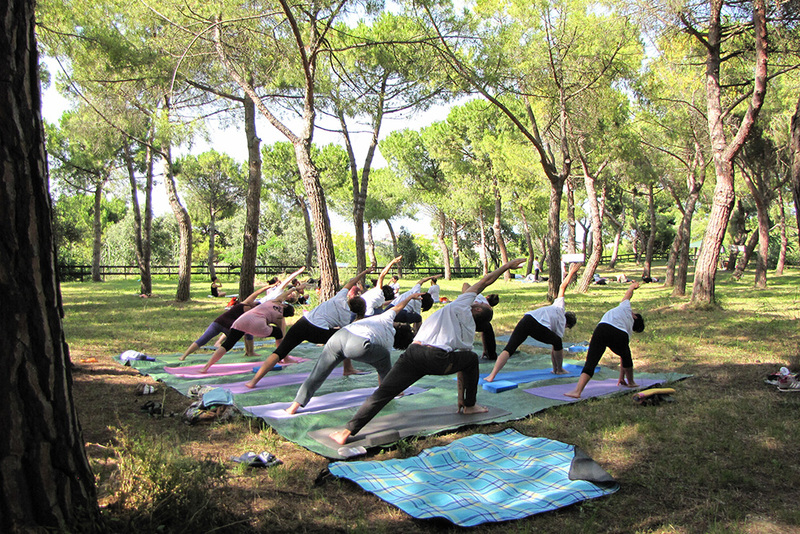 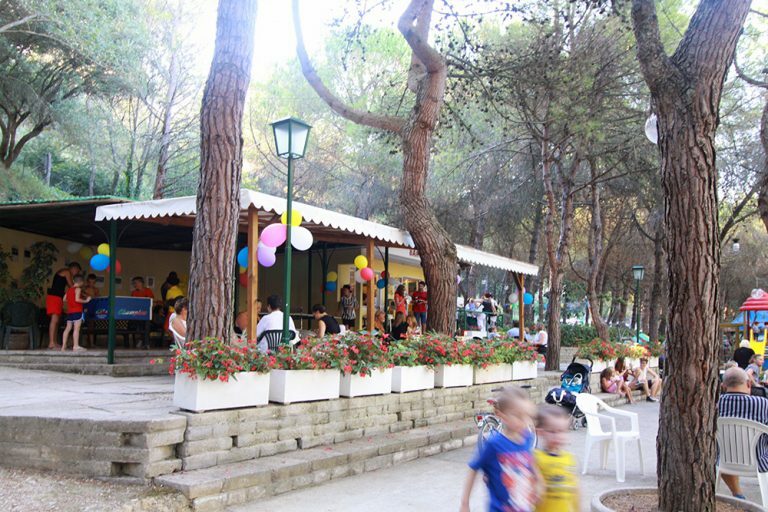 Active since 1986, the camping sits on the top of a hill formerly known as Monte Cucco and currently mapped with the name of Villa Belvedere. 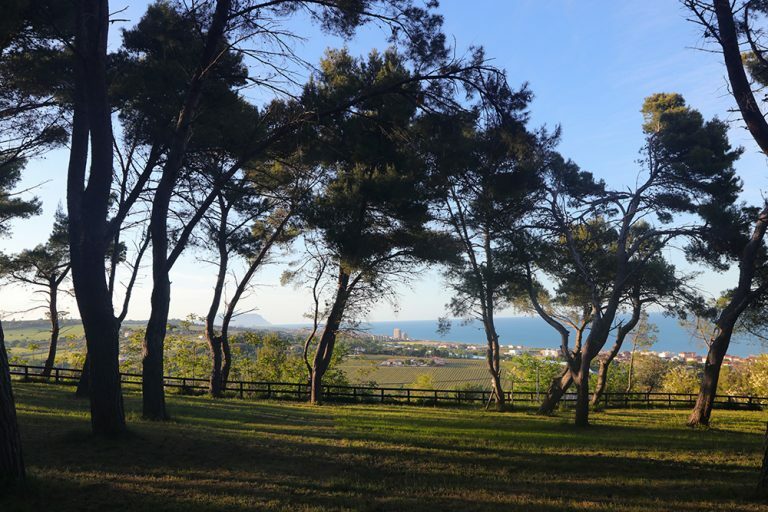 The hill is located in the north of Civitanova Marche, halfway between the village of Fontespina and the medieval Civitanova Alta. 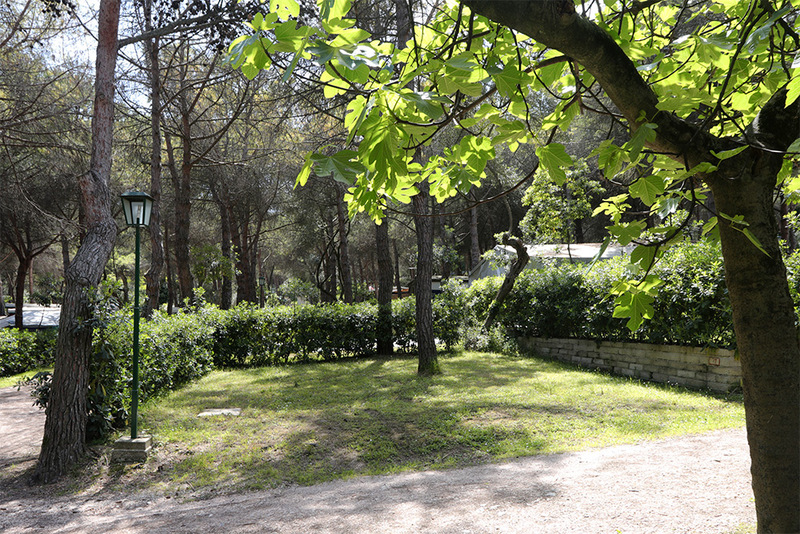 The oldest traces of history in the park is the Palazzaccio, a building used as a lookout tower and then as a friary. 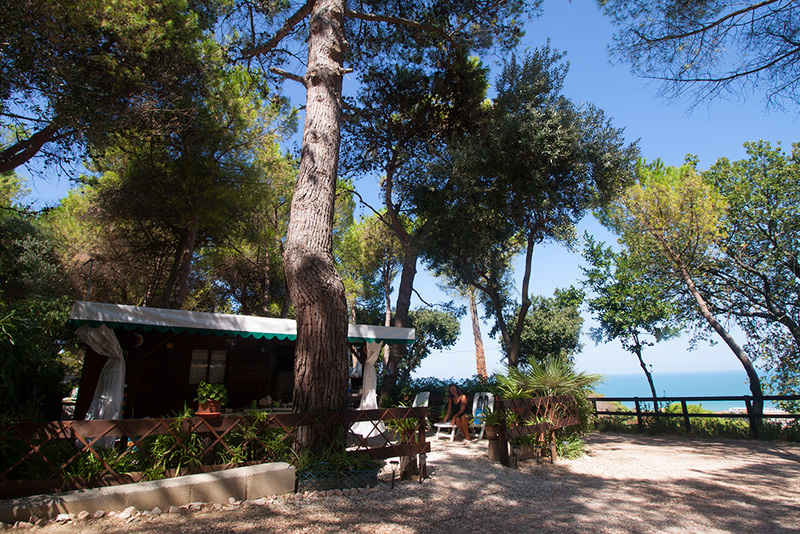 It was restored in 1792 at the hands of Napoleon’s soldiers when the hill was planted with olive trees and the Palazzaccio was used as a farmhouse; one last olive plantation that still stands at the center of the campsite. 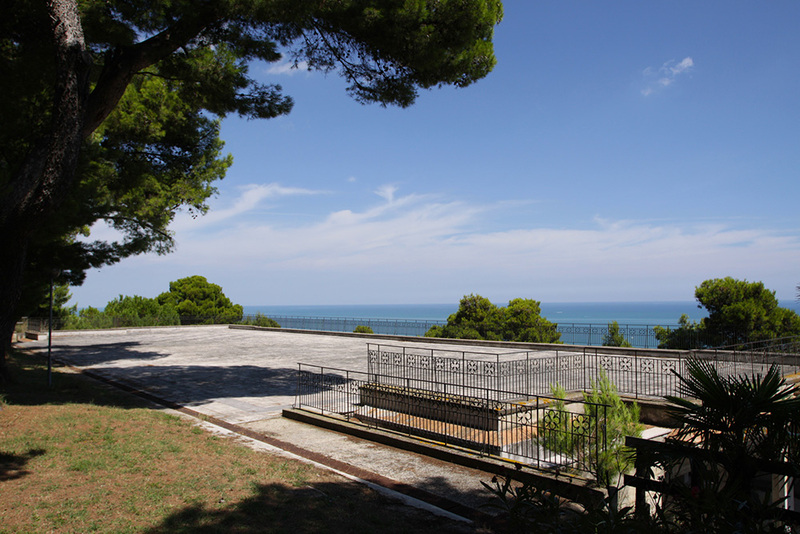 Recently renovated, a few years ago it has become a private villa. 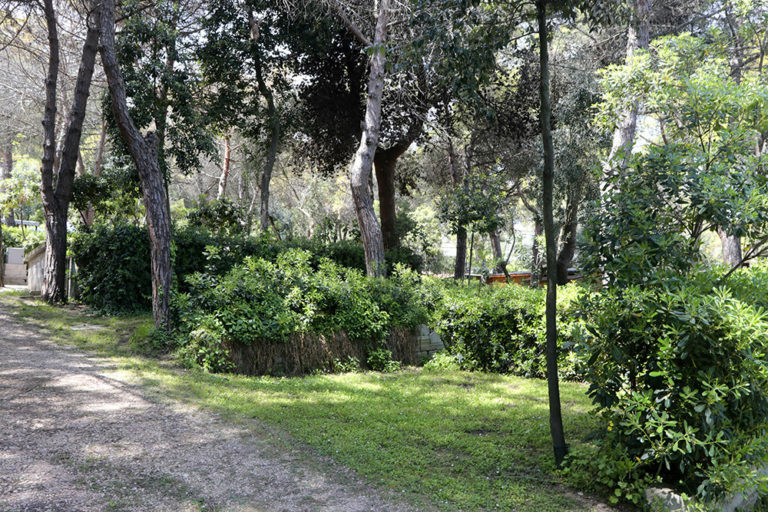 An established theory says that the Castle of Torliano was on the top of the hill, in the core of the park, as indicated by a cadastral map of the pontifical era. 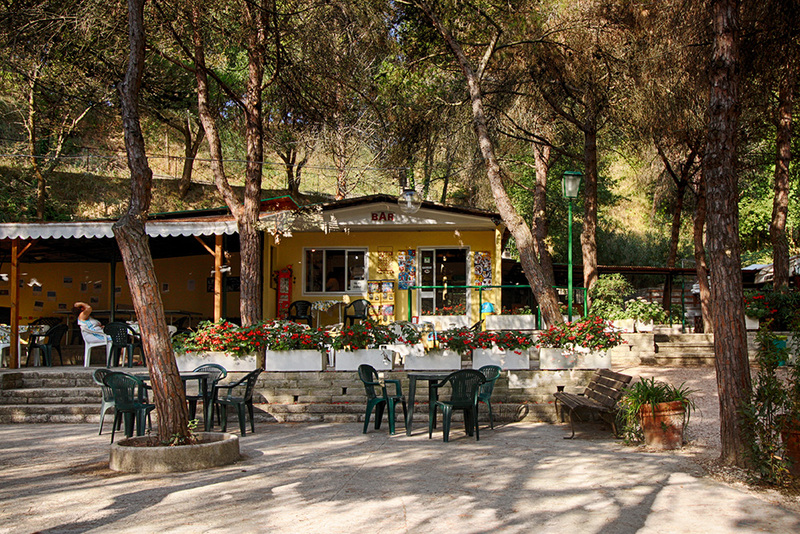 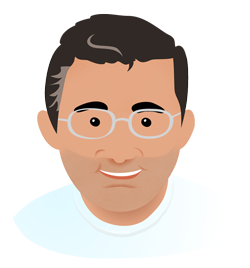 In the 1940s, the whole site was bought by a doctor from the nearby Morrovalle, Bernardo Ercoli. 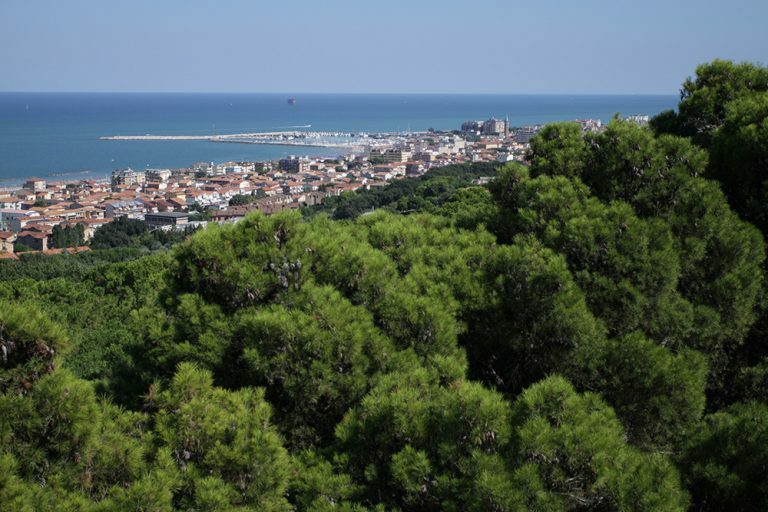 He planted the hill with more than 2,500 pine trees, making it the most wooded hill in the area. 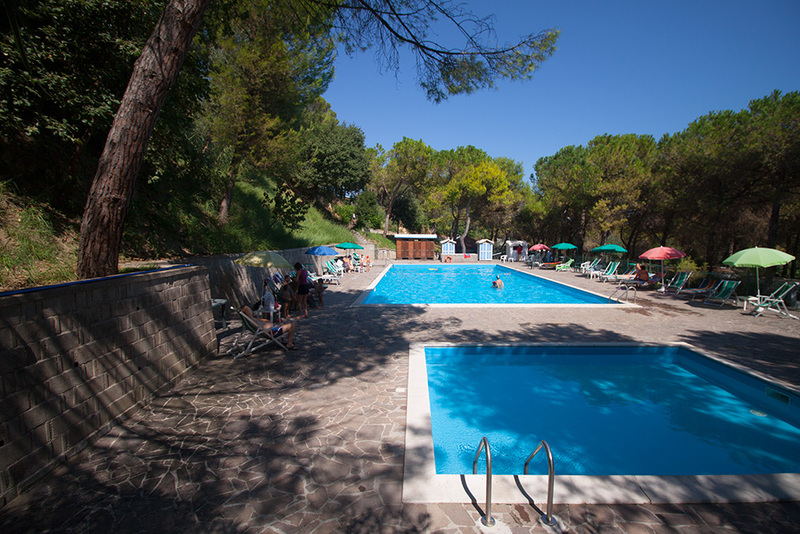 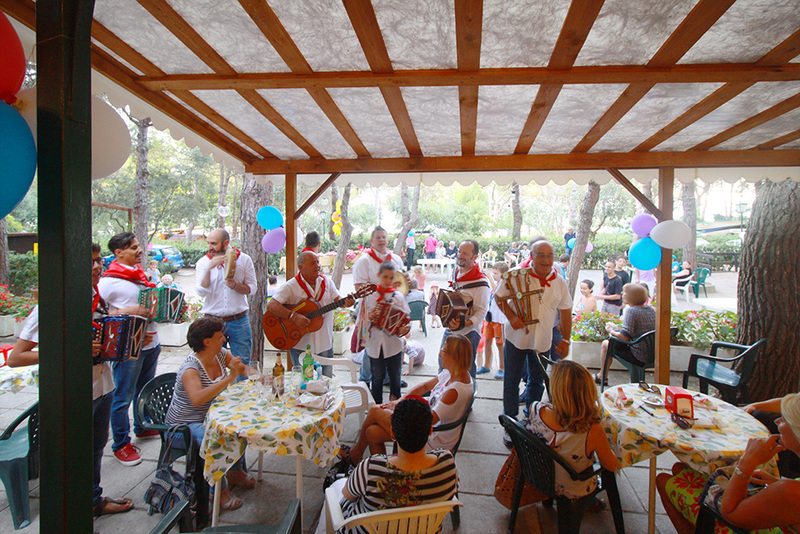 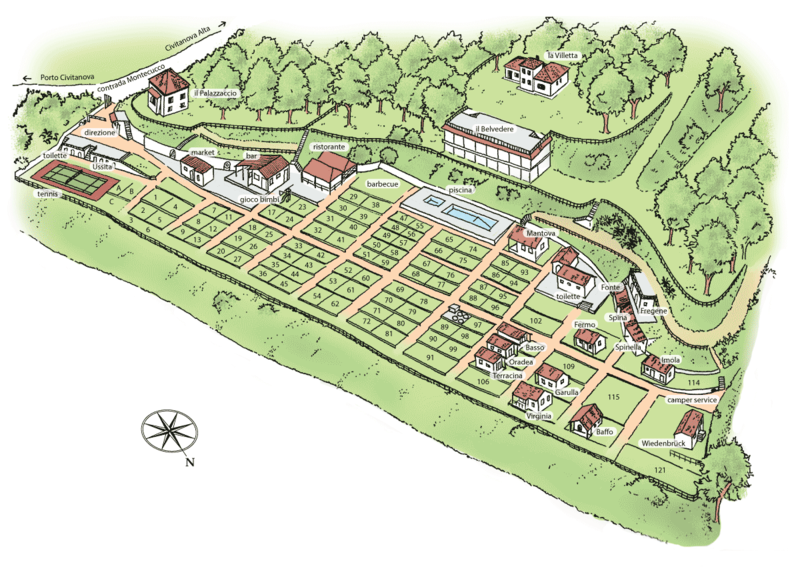 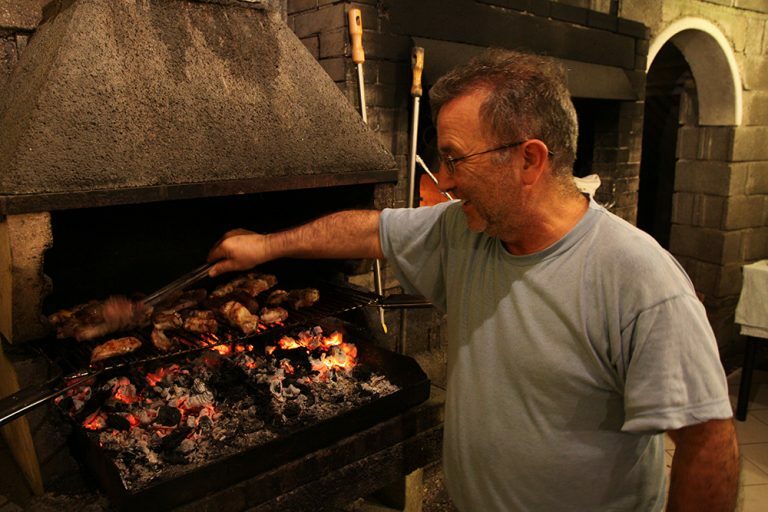 The estate is still owned by the Ercoli family, which directly runs the campsite by three generations.